I just returned from the ultimate Global & Luxury Summit on doing business with Asia and have hit the ground running with new connections I made and all the great ideas I picked up. Hosted by the Asian Real Estate Association of America (ARREA), the focus of the 2015 AREAA Global & Luxury Summit was the current state of our luxury global real estate market, examining its tremendous growth in the US and how to access the growing number of investors out of Asia and the Pacific rim. Besides being an excellent place to meet with the movers and shakers in the international real estate arena, the summit also provided insider secrets on international clients, emerging markets, important trends in residential and commercial real estate, and the latest luxury listing strategies. The event took place at the fabulous Trump International Hotel and Tower in Chicago and I am so thrilled to have had the opportunity to be there and share in all the excitement and networking! 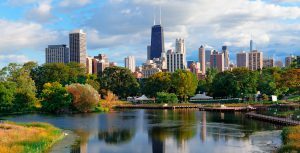 International investment in the US real estate market is no longer a trend; it is a fact of life, much like social media. The reasons for international investment are numerous, from housing children during college to investing off shore to protect wealth. But make no mistake, Asians like luxury, so it was luxury that we focused on. As more and more investors from the Asia/Pacific region are looking outside their geographic area for investment properties, it was clear to me, that given their desire to be part of the world of luxury and fine wine that I live in, I needed to be at the summit to fine tune my decades of experience in doing business with Asians and to connect with new buyers for my luxury sellers. I took an 8 hour CIPS Course on Sunday, which addressed emerging economies, economic trends, cultural influences, trade agreements and how to identify investment opportunities for buyers from the Asia Pacific region. We discussed the social, economic, political, and geographical characteristics of major countries in the Asia/Pacific region; learned how to identify important characteristics of the real estate market in prominent Asia/Pacific markets, uncovered opportunities to evaluate certain Asian markets through analyzing significant investment patterns, investor profiles and real estate activity. Some great takeaways were on how to do business with Asians, and the specifics on dos and don’ts so not to offend. Now, let me tell you, that was fascinating!! I also attended a class called “Leveraging Technology to Support Global Real Estate and the mediums that Asians use as well as some excellent panels including “Fine Wine – The Ultimate Luxury.” ARREA has invited me to speak at their National Summit in San Francisco in October. 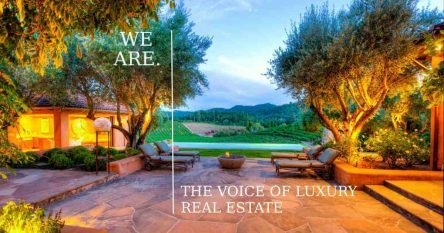 The goal will be to educate both agents and investors on the complexities of acquiring luxury estates, vineyards and wineries; how to analyze market value; and how to access offerings that are typically confidential and not on the open market. The tilt at the top of the Hancock Building. Darlene Chiu Bryant, Executive Director of ChinaSF, appointed by San Francisco Mayor Edwin Lee and tasked with stimulating economic growth and job creation through bilateral trade and investment between China and San Francisco. 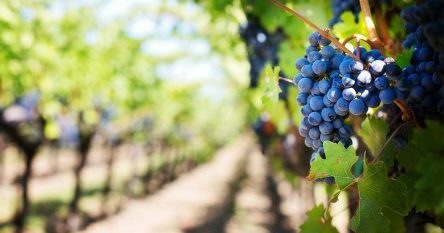 She said that vineyards and wineries are a popular investment for Asians, so much so they would even do joint ventures to have the luxury of ownership. I connected with her for referrals from her network of Asian investors looking for vineyards and wineries and look forward to an ongoing relationship. Donald J. Trump Jr., Executive Vice President at The Trump Organization, talked about how to build and maintain a luxury brand. He talked about Trumps expansion into retail, commercial, hotel and golf interests nationally and internationally, while maintaining the Trump luxury brand. And last but not certainly not least, there was a great panel on how funds are flowing from China. Of course this has been a challenge for many investors as the limit is $50,000 per person per year. I connected with Ryan Gonsalves of HSBC in Hong Kong and he advised that his team in Hong Kong has been able to assist many investors achieve their goals in getting funds out of mainland China because they are more familiar with the rules and regulations and how to get around them legally. Having stayed at the Trump International Towers while I was in Chicago, I am happy to report that the level of service and attention to detail is exceptional. 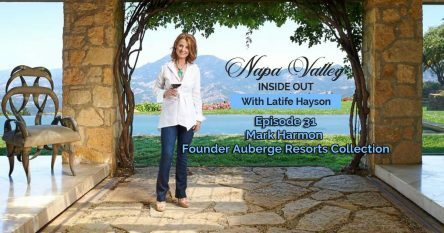 I am happy to share all the intel I learned at the ultimate luxury and global summit on doing business with Asia as well as insider information on quiet offerings of wineries, vineyards, estates, new construction and homes in Napa Valley. Please contact me at 707-738-4820 or email [email protected] to discuss the extraordinary properties that are not available on the open market.